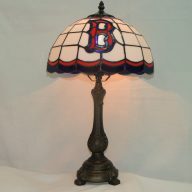 Gemmed Peacock memory lamp for any occasion. 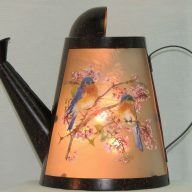 Unique Gemmed Peacock accent lamp standing on a metal base decorated with leaves. 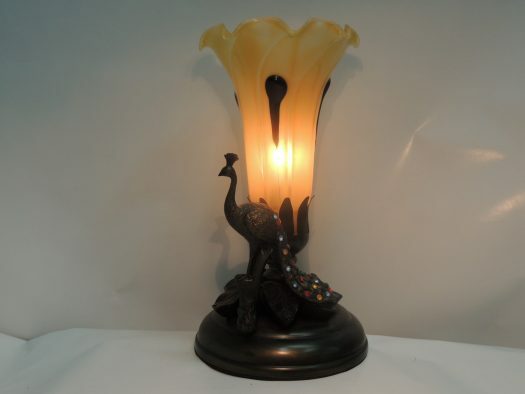 The hand blown glossy lily shade is yellow with droplets of chocolate. The peacock symbolizes renewal, rebirth, and immortality. Early belief held that the Gates of Paradise are guarded by a pair of peacocks. This is a very special gift for any occasion. 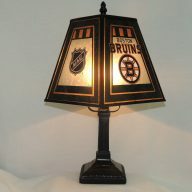 Our memory lamps are a wonderful alternative to flowers and gift baskets. They offer a memory to cherish for a life time.